Technology has become the key to attracting and retaining modern hotel guests. The highly competitive hospitality industry needs to invest in a wide range of solutions to meet high capacity needs to give the hotel a leading edge. It also requires management to maintain a versatile service, usually including free Wi-Fi. Therefore, finding a flexible and adaptable technology solution is critical. We are technical staff from Intello Technologies Inc. Most of the customers who work with our company are hotels in Canada. For more than a decade, we have been providing effective technical solutions for hotels and accommodations in Canada. Nowadays, the hotel industry is increasingly demanding wireless networks, and they are facing more challenges. From small homestays to luxury hotels. Regardless of the size of the service, the growing demand for network capacity, performance and range means that they must improve their hardware. For example, there is now a family of four living in a hotel room. Perhaps mother, who is an entrepreneur, needs to manage her business through the network and handle finance through secure mobile payment. Then Dad, his mobile phone has to download the PPT in addition to answering the phone, and he has to prepare his conference call; their teenage children, both have tablets, like to try new interactive games or watch movies. And mom and dad have a few hours devoted to their work. This is a typical Canadian family that resides in a hotel room. The demand for Wi-Fi by these people is bound to mean a lot of data processing. Based on this demand, we chose Canada TP-Link.Powerful hardware ensures outstanding Wi-Fi performance for demanding hospitality and conference environment engineers to ensure a consistent Wi-Fi experience in wall-to-wall and even outdoor coverage. They chose the EAP series of access points EAP330 and EAP320, using advanced MIMO and TurboQAM technology at speeds up to 1.9Gbps. The TP-Link EAP320 AC1200 wireless dual-band Gigabit access point delivers up to 300 Mbps of dual-band Wi-Fi speed at 2.4 GHz and 867 Mbps at 5 GHz, ensuring optimal RF performance for business-class applications . The 1 Gb LAN port supports Power over Ethernet (PoE) for flexible deployment. Security features such as guest authentication, access control, wireless MAC address filtering, wireless isolation between clients, SSID-to-VLAN mapping, and mandatory portals for multiple operating modes, including managed APs and stand-alone APs, can be used to meet different Application conditions. 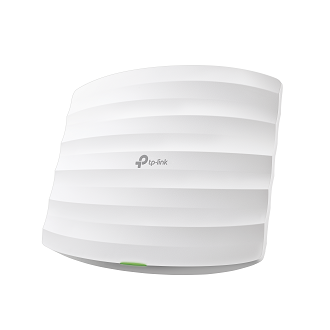 The TP-Link EAP330 AC1900 wireless dual-band Gigabit access point uses MIMO and TurboQAM technology to provide dual-band Wi-Fi speeds of up to 600 Mbps at 2.4 GHz and 1300 Mbps at 5 GHz. Two 1 Gbps LAN ports support PoE and can be flexibly mounted on a ceiling or wall to suit any configuration and needs. The Broadcom Enterprise Chipset delivers outstanding enterprise-class performance for longer, stable operations and greater client capacity. Call time fairness, beamforming and band control technology provide the best RF performance for the best Wi-Fi experience in a high-density environment within the hotel. Dedicated high power amplifiers, professional antennas and well-designed RF shielding ensure excellent wireless stability, coverage and performance. All TP-Link EAP Series products come with free EAP controller software that allows administrators to easily manage and monitor hundreds of EAPs across multiple sites from a single location. It's flexible, easy to manage, and delivers exceptional value. The ability to control, tune, and visualize the entire network from any connected PC makes centralized service Wi-Fi management more efficient and economical than ever. In addition, we also chose the TP-Link smart switches. The T1600G-52TS is a cost-effective solution with outstanding performance and portability. The T1600G-52TS is equipped with 48 Gigabit RJ45 ports and 4 SFP slots to support a variety of useful functions. Static routing helps route internal traffic for more efficient use of network resources. TP-Link's products are not only reliable, but also provide free repair service and technical support. The TP-Link solution is easy to configure, reliable and scalable, and competitively priced. As a partner, Intello is very reassured about TP-Link, and we have installed TP-Link solutions for many hotels. They said that the new wireless network system is running very smoothly. Most of the customers who work with our company are hotels in Canada. For more than a decade, we have been providing effective technical solutions for hotels and accommodations in Canada. Nowadays, the hotel industry is increasingly killing stalking chapters and the good manager chapters demanding wireless networks, and they are facing more challenges. From small homestays to luxury hotels. Regardless of the size of the service, the growing demand for network capacity, performance and range means that they must improve their hardware. Thanks for the information. It was useful. Visit our website if you are facing problem with Printer Offline. Dial toll free number and resolve Printer Offline problem. With the help of your top notch tp link routers I was able to check my 5th class result lahore board ... so i would like to thank you!